What is Oral Health ? 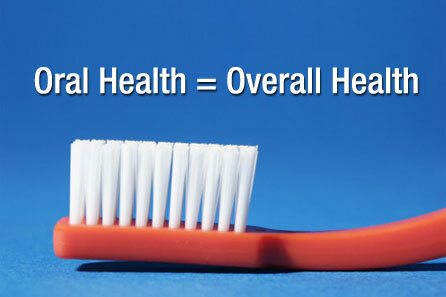 Oral health encompasses the health of our oral cavity. Our oral cavity (mouth) consist of our teeth and oral mucosa mucosa (gums). The health of our teeth is commonly compromised by bacteria which causes dental decay. Dental Decay is a dynamic process and it occurs due to a combination of a bad diet, insufficient oral hygiene care and bacteria in our mouth. What is Dental Caries (dental decay) ? Dental decay or dental caries is a process that may take place on any tooth surface in the oral cavity where dental plaque(tar tar) is allowed to develop over a period of time. Dental Plaque (tar tar) formation is a natural physiological process which will take place on any tooth in the mouth regardless of how many times you brush it. Dental Plaque is an example of a bio film, which it is not a dangerous concentration of bacteria but a community of microorganisms which are attached together to the tooth surface. This community of organism works together to survive and are very metabolically active. Some bacteria in the bio film are capable of fermenting suitable dietary carbohydrate such as simple sugars. This leads to production of acids causing the plaque or bio film pH to fall below 5 within 1-3 minutes. Repeated falls in the Ph may eventually lead to demineralization of the tooth surface. Our tooth surface is made of hydroxy apetite crystals , the acids strips away this mineral away and causes tooth decay. Eventually bacteria can get into the core of the tooth and cause tooth infection or death of the tooth. However, if every time we had sugary stuff; we get decay, everyone would have dental decay every 3 minutes. That is however not the case, The acid produced by the bio film of bacteria is neutralized by the alkaline in our saliva, so the pH increases and the minerals of the tooth surfaces can be regained. However, the cumulative loss of the demineralization and remineralization process may be a net loss of minerals and a carious or decay lesion can be seen on the tooth. Where does Dental Decay occur on the teeth ? Dental decay usually occurs on the surfaces of the tooth which are harder to brush or harder to reach. For example, the areas in between two teeth, the neck of the tooth and the pit and fissures of the tooth. These are very common areas of the tooth whereby dental decay commonly occurs. Dental decay is usually not seen on smooth surfaces of the teeth, however if the teeth are misaligned, rotated or overlapping, dental decay also easily develops. How to prevent or modify the process of Dental Decay ? Oral Hygiene instructions. Since dental decay is caused mainly by the release of acid from the biol film or plaque, removal of it using toothbrushes, floss and toothpaste can prevent or reduce the demineralization process. Dietary advice. Simple dietary advice can be advocated, such as reducing the frequency of the intake of sugars. Eating more vegetables and fibers. Finally, opt for more complex carbohydrate foods, such as mash potatoes or bread and not potato chips. Appropriate use of fluoride. Fluoride found in toothpaste, water and mouthwashes will delay the process of demineralization. Corporation of fluoride minerals in the tooth strengthens and protects the tooth from demineralization. Dental treatment by dentist. Dental decay will eventually lead to holes in teeth. Holes found in the teeth are not cleansable , as the toothbrush bristles can never reach there. The only option is to book an appointment at the dentist and fill up the hole. This is so that the dental decay does not progress to a full blown tooth infection. What is Gum Disease ? 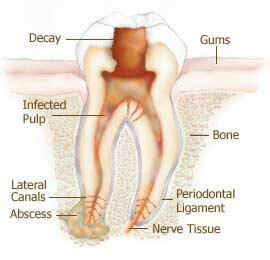 Gum disease actually happens when there is plaque or tar tar collects around a tooth. It eventually causes infection around the gums of the tooth, leading to gum attachment and bone loss. Eventual progression of this disease will be the loss and mobiltiy of the tooth. How to Prevent Gum Disease ? Good brushing techniques are the key. Ensure that there is no tar tar or plaque around the neck of the tooth . Visit a Dentist twice a year for scaling. This is so that the stubborn plaque or tar tar can be removed with the ultrasonic vibrations. Lastly, use medicated mouthwashes if all else fails. In conclusion, dental decay and gum disease cannot be avoided because it is a natural process than comes with age. We can however control the progression of the disease with good oral hygiene practice. Hence oral health can be easily achieved. This entry was posted in Oral Care and tagged Dental caries, dental decay, Dental plaque, flouride, Gum Disease, oral health, oral hygiene, tar tar, teeth, Tooth on April 28, 2010 by samanthaloh. How about the use of an oral irrigator to treat gum disease at an early stage? I’ve suffered from some gum bleeding in the past and have found the irrigator to be very effective at stopping bleeding and reversing gingivitis. rafik : oral irrigators? as in mouthwashes are very good to maintain healthy gums.Those commonly presrcibed for more severe casses of gum disease are chlorhexidine mouthwashes. Note however, when using this mouthwash, do not drink cofee or tea as it will severely stain the teeth. Other mouthwash such as Listerine is fine as well. However, brushing or removing the plaque around the tooth is vital because, mouthwash alone will not mechanically remove the plaque. Coupled together, gum disease will be avoided. I have used a Gripit Floss Holder (www.gripit.biz) for 35 years to floss daily. These handy devices come with their own floss supply that can be advanced in seconds and refilled from local drug and grocery stores. They last a lifetime and don’t clog landfills. How do you find enough time to write this blog ?!? keep on reading, we will be posting more useful articles on this site. Friends, I want to ask you something: I wonder must be passed to a Turkish mouth clean teeth but can I get the pictures about?